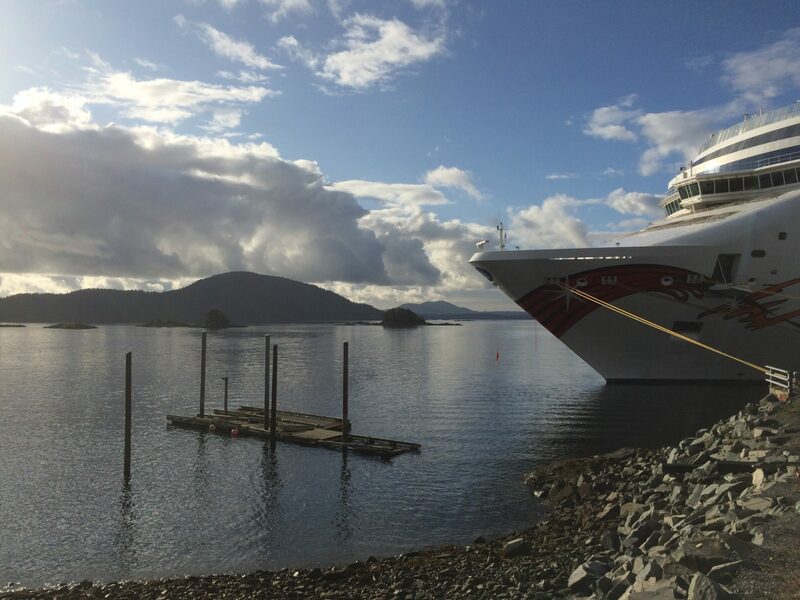 What a great surprise it was to see Sitka on the itinerary of this Alaska cruise. Although it is not on many cruise itineraries, it’s not due to its lack of interest. With a National Park and historic buildings, along with fabulous photo ops, Sitka makes for a delightful and impressive port of call. 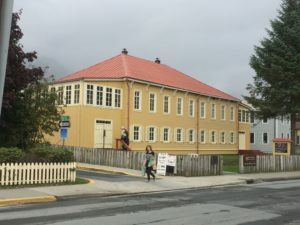 A big surprise for me (and one that caused me to give fellow passengers wrong directions for getting into town) was that unbeknownst to me, there are two ports in Sitka. On my most recent cruise, we docked at the Old Sitka dock, which is about a 5-minute bus ride (free shuttle) to town. That location has a terminal with shops and restrooms and what beautiful scenery from that pier! On my last visit to Sitka, we anchored in Crescent Bay and took a tender to a spot just a few blocks from the downtown area. 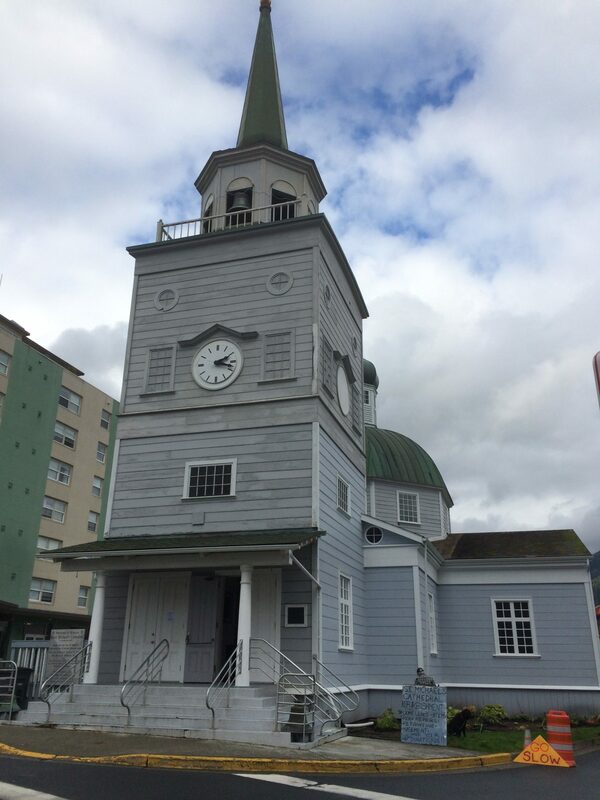 Sitka not only offers amazing views, but also a mix of Tlingit and Russian culture. The cathedral dome and cross and bell tower of the Cathedral of St. Michael the Archangel command a presence in downtown. If you want to step inside, be prepared to make a mandatory donation. Around the cathedral on the main road through downtown, shops and restaurants abound. 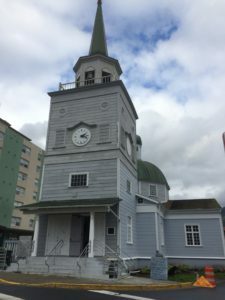 Beyond the cathedral, you eventually come to the Russian Bishop’s House, an ideal place to learn about the Russian presence in Sitka. Nature lovers should not miss the Sitka National Historical Park, part of the National Park Service. Don’t be scared by the word “historical”! 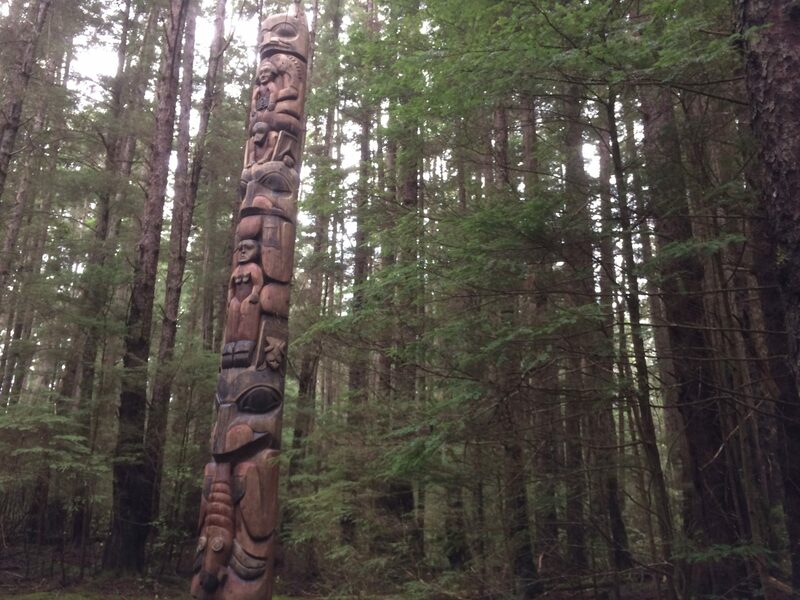 This park features many Tlingit and Haida totems accessed via an easy woodland trail with views of the harbor. The museum near the start of the trail should be the first stop when visiting this park. Displays explain the history and detail the arts and crafts of the culture. Outdoor lovers enjoy kayaking, cycling, hiking and fishing. Animal lovers should visit the Alaska Raptor Center or Fortress of the Bear. For me, simply sitting near the water and enjoying the scenery contrasted nicely with the kayaking and bicycle brew tour that I engaged in. Both ship shore excursions and private independent tours are available. In 2018, Holland America will make the most calls to thi scenic port. Plan your time there wisely. 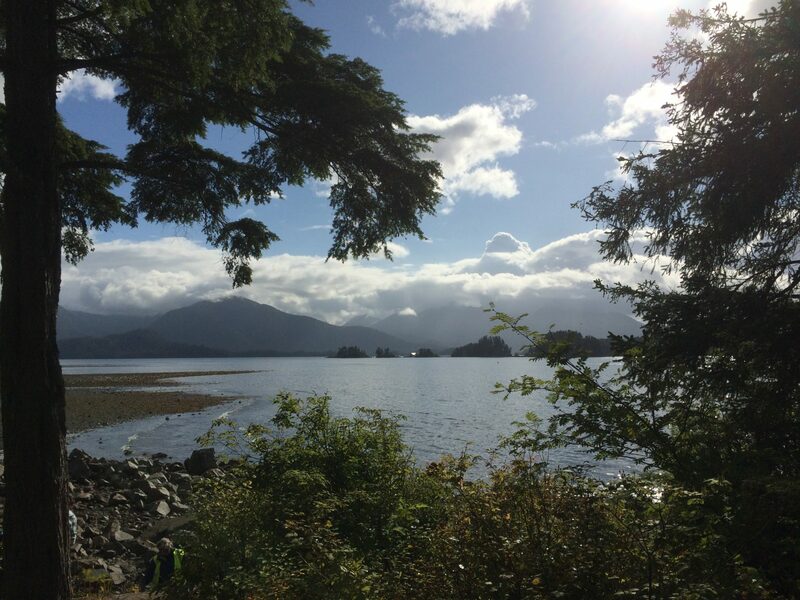 I so enjoyed my own visit to Sitka. And I enjoyed tagging along with you on this one as well. I love sharing Alaska. It should be on everybody’s list.